Offense: Over his time at Florida and in his two seasons with South Carolina, head coach Will Muschamp has lacked a good offense, including a 2017 where they were 12th in the SEC in scoring with 24.2 points per game. 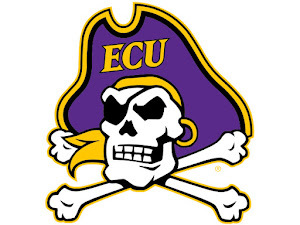 He hopes new offensive coordinator Bryan McClendon and a faster, more spread attack will finally solve his offensive woes. McClendon arrives at a place with ideal personnel to run his scheme. 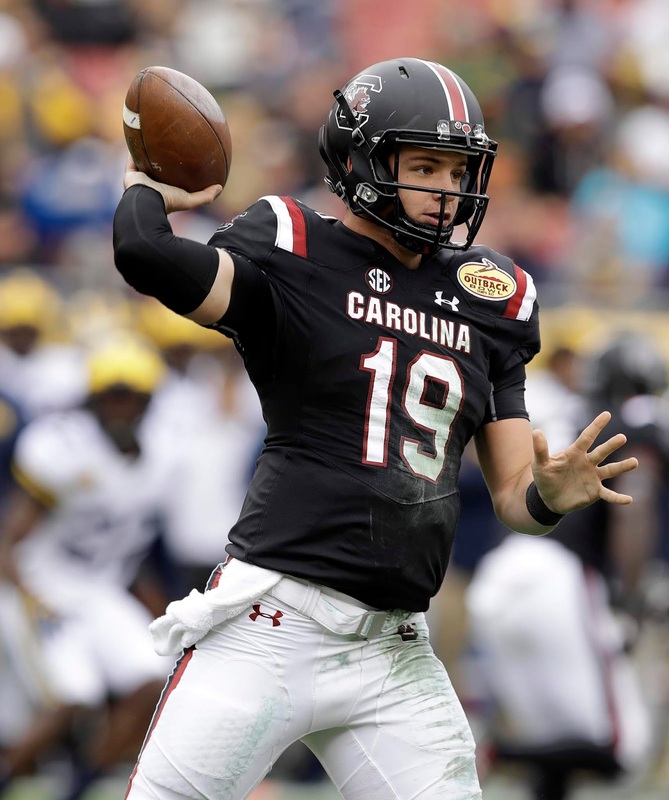 Junior quarterback Jake Bentley had 2,794 yards and 18 touchdowns last season, showing big play potential and drawing rave reviews across the conference. Bentley still struggles with turnovers (12 interceptions a year ago) but his arm talent is among the best in the SEC and even nationally. If McClendon can make him comfortable, Bentley is an All-SEC talent. It should also help Bentley he will have his top target, Deebo Samuel, back in the fold. Samuel was putting together a monster '17 before injury hit him and took him out the season's final ten games. When healthy, Samuel is a scary deep threat who can make him some extraordinary catches. He is the best playmaker South Carolina has had in some time, and the Gamecocks will be creative with how they get him the ball. The running back situation should be favorable, with a bunch of experience back. Junior Rico Dowdle is a big play threat, but speester A.J. Turner had 531 yards a year ago and should retain a large role. This should be a pass-first offense, but McClendon and staff will still lean on a quality run attack. The offensive line returns three starters and isn't lacking in size, a clear advantage in the brutal SEC. Senior left tackle Dennis Daley is an important piece to the puzzle, but the Gamecocks need the interior of the group to play well to open up running lanes. South Carolina has the chance to be very, very good offensively, particularly if Bentley can play up this potential. People all over the conference are high on him because he has a great mind for the game and has tremendous upside. If he realizes that, the sky really is the limit in this case. Defense: Muschamp has made his living on the defensive side of the ball, and this group looked pretty strong a season ago. Third-year coordinator Travaris Robinson has done a great job recruiting and developing throughout, but they are especially good in the front seven, where there is size and speed everywhere. Junior defensive end D.J. Wonnum returns as the Gamecocks' top sack leader in '17, managing six. He also had 13 tackles for loss and displayed the ability to disrupt passing lanes, with five pass deflections. He is far from the only guy that can cause chaos up front; junior tackle Kobe Smith has tremendous upside after showing flashes last season, while fellow end Keir Thomas is a proven veteran. The linebacker corps could be even stronger than the D-Line, particularly if senior Bryson Allen-Williams can return to form. Allen-Williams proved to be a key, versatile defender for this group in '16 before shoulder surgery ended his 2017 campaign. He should compete for a starting role at an outside linebacker spot, while being aided by junior middle linebacker T.J. Brunson. Brunson had 88 tackles a year ago and should take over the leadership void left by the departed Skai Moore. South Carolina's pass defense was its biggest weakness on that side of the ball last year, but there is a lot of hope it could be a source of major improvement in 2018. Senior Rashad Fenton is one of their most experienced guys, but still looking to prove he is a No.1 cornerback. Safety is a problem, with key cog Chris Lammons now gone. The addition of Rice grad transfer J.T. Ibe is a major help, but others will still have to step up. Muschamp has a defensive group not without some flaws, but certainly one that offers plenty of talent. The front seven could quietly grow into one of the best in the loaded SEC, but the secondary is really the X-factor. If it can take some steps forward, South Carolina becomes a true SEC Title contender. Special Teams: There isn't any clear word on who will be starting for the Gamecocks at placekicker. Sophomore Parker White had a rough 2017, opening the door for Kent State transfer Shane Hynes to push him. Junior punter Joseph Charlton is a solid returning piece. Having Deebo Samuel healthy will also work wonders for a return game that desperately missed him last season. 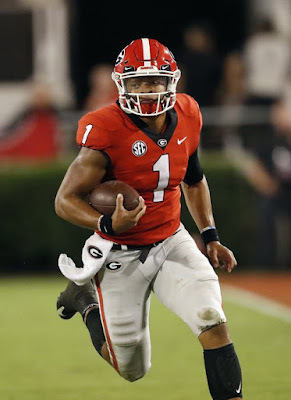 While Georgia still appears to be the top dog in the SEC East, there is ample opportunity for somebody else in the division to challenge them. Missouri remains an interesting dark horse but with Florida and Tennessee both replacing head coaches, South Carolina's time to strike is now. They have a veteran QB still getting better in Bentley, and a healthy Samuel really is a game-changer. If the Gamecocks can somehow find a way to stun Georgia in Athens, this is a team that very well becomes a SEC Title favorite. More reasonably, a double-digit win campaign and second place finish in the East seem like extremely attainable goals in Year 3 of Muschamp.